Remember that scene from the beginning of C.S. Lewis’s The Lion, the Witch, and the Wardrobe? The Pevensie children are playing hide-and-seek. Lucy, the youngest, discovers an old wardrobe, climbs inside, and to her surprise, steps through the wardrobe into a forest. Lucy responds to this phenomenon with joy and wonder. She “... felt a little frightened, but she felt very inquisitive and excited as well … In about ten minutes she reached [the light among the trees] and found it was a lamp-post … She stood looking at it, wondering why there was a lamp-post in the middle of a wood …” (The Lion, the Witch, and the Wardrobe 8-9). 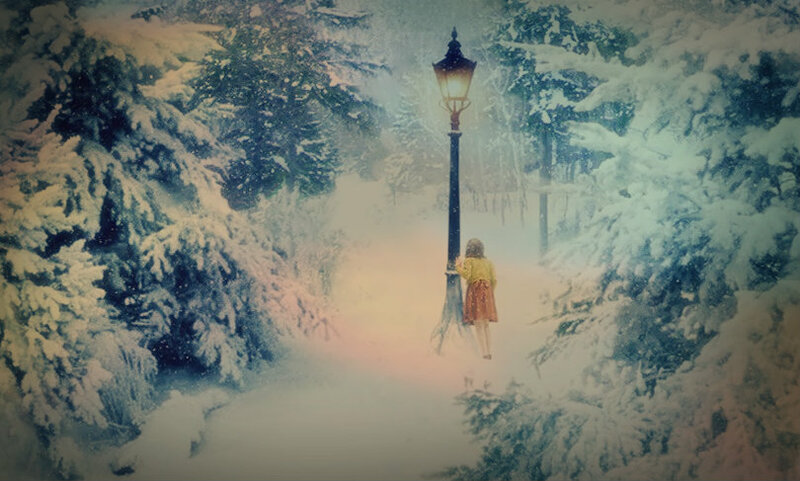 All children are like Lucy Pevensie to some degree. All children have an innate sense of wonder. Think about yourself as a child. When you were very young, almost everything was a mystery. Why did it look like the sun moved across the sky, when your parents were telling you that it was the earth that moved? How could you hear Grandma’s voice through the phone when she was hundreds of miles away? Where did your baby brother come from? As child, your world was full of wonder. And while this wonder is often dulled today by overstimulation, it is at least dormant in every child’s heart. This wonder is also a fundamental disposition of the philosopher. As Aristotle states in his Metaphysics, “... human beings originally began philosophy … because of wonder, at first because they wondered at the strange things in front of them …” (118-119). The first philosophers were not scholars or academics. They were, in Aristotle’s words, simply “human beings”, who wondered at the mysteries of the world around them. Thus, Lucy’s awe at the sight of the lamp-post is not merely the bewilderment of a little girl who just stepped through a wardrobe into a woodland, but the breathless wonder of the philosopher. It is in this very wonder that the child is like a little philosopher, and the philosopher is like a little child. A second way in which the child and the philosopher resemble one another is the attitude of reverence which they share. In his Art of Living, Dietrich von Hildebrand discusses this concept of reverence. The irreverent man, he says, sees everything “... flatly, from the outside, without comprehension for the true meaning and value of an object. He is also shortsighted, and comes too close to all things, so that he does not give them a chance to reveal their true essence” (6). The reverent man, on the other hand, “... leaves to being the space which it needs in order to unfold itself. He understands the dignity and nobility of being as such, the value which it already possesses … Thus there is value inherent in every[thing] ...” (7). True reverence, therefore, is necessary in order to be a true philosopher, one who seeks to understand the natures of things. Children often have a beautiful sense of this reverence; the world and its wonders are new to them, and they are free to marvel and ponder it. A woman I know once told me the story of a time during her childhood when she and her siblings found a butterfly on the ground, unable to fly because of a torn wing. The children used duct tape to patch the wing back together, and the butterfly flew away as though nothing had happened. I think this story is a beautiful example of the reverence which children naturally have. Rather than leaving the butterfly to die, or capturing and keeping it for themselves, the children fixed its wing (albeit in a somewhat crude way) and allowed it to go free. 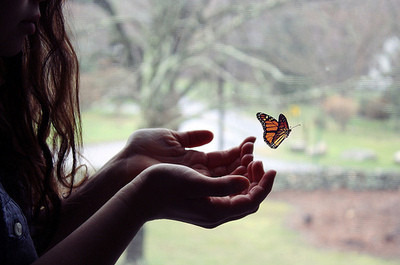 They drew close to the butterly to heal its wing, but then allowed it the space to “unfold itself”, to fly away. These children recognized the beauty and the value of the butterfly and treated it with reverence. A third similarity between the philosopher and the child is humility, recognizing one’s smallness and inadequacy before the truths of creation. This idea is rooted in the philosophy of Socrates, who claims in Plato’s Apology that “... the truth is, O men of Athens, that God only is wise; and … he means to say that the wisdom of men is little or nothing … as if he said, He, O men, is the wisest, who, like Socrates, knows that his wisdom is in truth worth nothing.” Thus, according to Socrates, humility is a key characteristic of the true philosopher. Children are, in a certain way, naturally humble. If you’ve ever met a strong-willed three-year-old, you know that they are also naturally very prideful. But when the same three-year-old has an upset stomach, he doesn’t simply tough it out in the proud conviction that he is self-sufficient. Quite the opposite: he runs crying to his mother. Whenever a young child is hurt, sad, or in need of help, he automatically turns to others. He may throw a tantrum when he’s told to eat his spinach, but the instant he stubs his toe he comes running back into his mother’s arms. Likewise, the true philosopher recognizes his lowliness before the vast sphere of wisdom. Like Socrates, he knows just how little he knows. In all of his struggles to discover the truth, he runs to wisdom for help and guidance when his own small intellect fails. Like a child, he sits at the feet of wisdom, his mother, knowing that she can give him what he lacks. It seems fitting to note the fact that this similarity of the philosopher and the child seems most evident within the Christian tradition. Christianity, and in particular Catholicism, places great emphasis on the importance, and even necessity, of a childlike attitude before God and His truth, in every person and in every walk of life. Many saints, perhaps most notably St. Therese of Lisieux and Blessed Mother Teresa of Calcutta, have written extensively on this very subject, and have made it the fundamental reality of their lives. Thus, the relationship between the child and the philosopher transcends both childhood and philosophy, for in the words of Jesus Himself, “Truly, I say to you, unless you turn and become like children, you will never enter the kingdom of heaven” (Matthew 18:3).